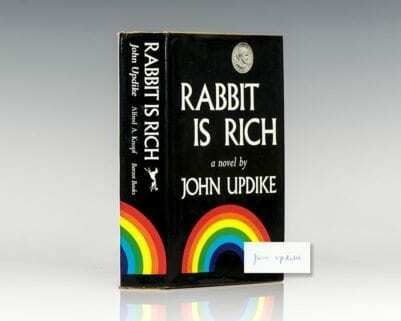 Rabbit, Run; Rabbit Redux; Rabbit Is Rich; Rabbit At Rest; Licks of Love. 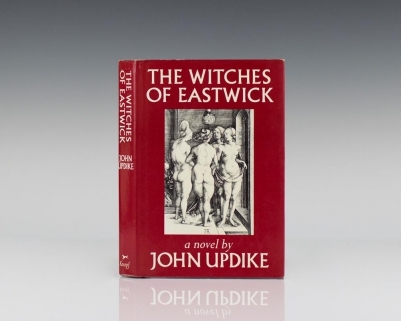 New York: Alfred A. Knopf, 1960 - 1990. First editions of each volume in the Rabbit tetralogy. Octavos, 5 volumes. Each volume signed or inscribed by the author. 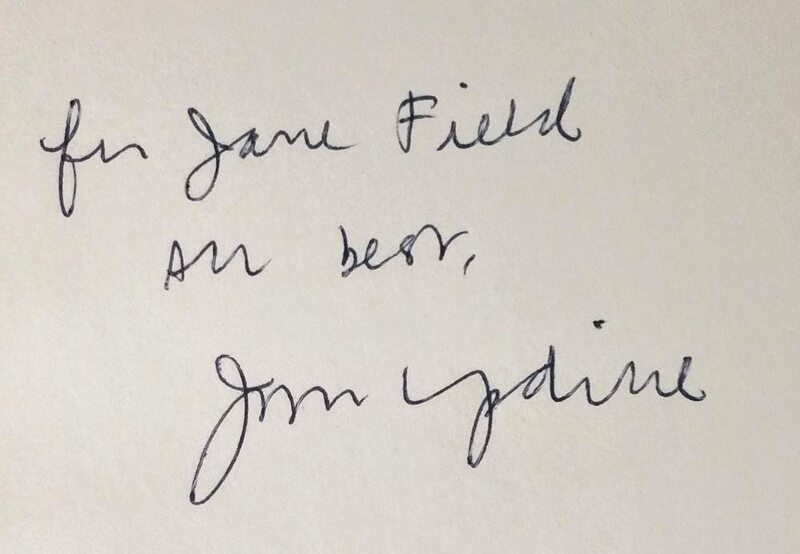 Both Rabbit, Run and Rabbit Redux are inscribed by John Updike to his neighbor and friend Jane Field. 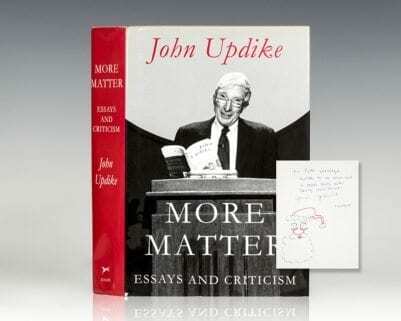 The final three volumes are signed by John Updike. Each volume is fine in near fine to fine dust jackets. 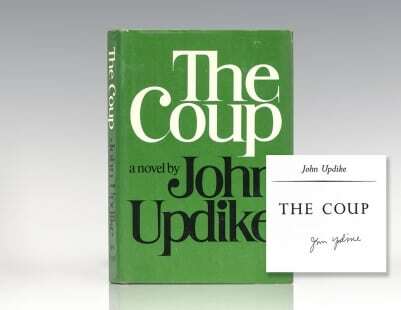 Jacket designs by John Updike and Chip Kidd. 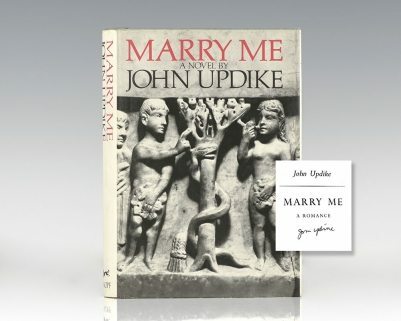 Jacket photographs by Alfred A. Knopf, Martha Updike, Andre Deutsche, Ellen Dahlberg, and Davis Freeman. A very nice set with distinguished provenance. 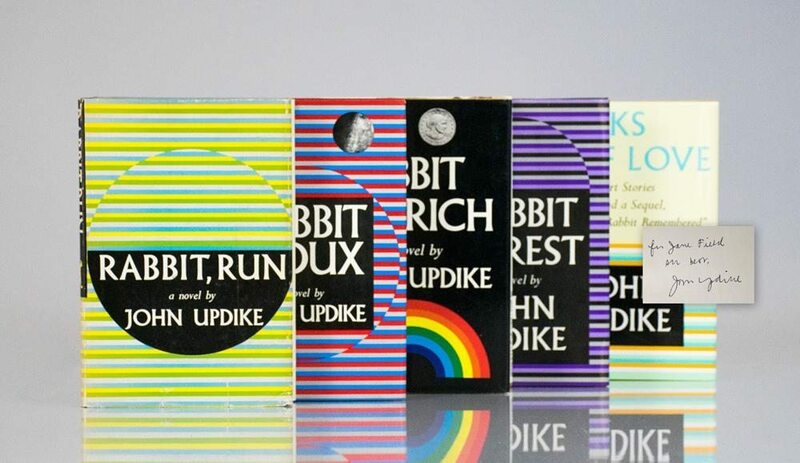 "Updikes choice of Rabbit Angstrom, in Rabbit, Run, was inspired, one of those happy, instinctive accidents that so often shape a literary career" (Books of the Century, 450). "Taken together, this quartet of novels has given its readers a wonderfully vivid portrait of one Harry (Rabbit) Angstrom . . . The books have also created a Kodachrome-sharp picture of American life . . . from the somnolent 50s . . . into the uncertainties of the 80s" (The New York Times).